It has arrived! 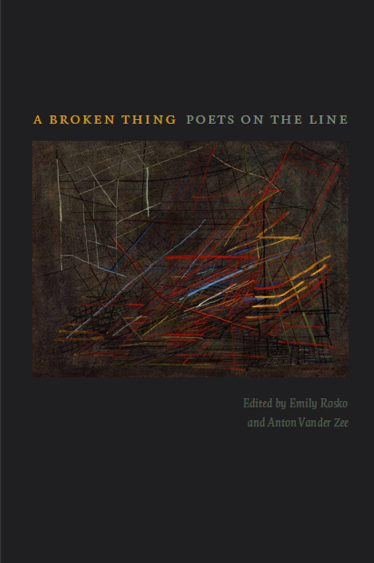 I wanted to share the lovely cover–as well as some choice blurbs, a description of the book, and a list of contributors–from A Broken Thing: Poets on the Line, a collection of essays that I edited with Emily Rosko. Please help spread the word by sharing this post on Facebook and elsewhere. Also, with the permission of the University of Iowa Press, you can check out our two-part introduction here. The cover art is “Lines” by Helena Maria Vieira da Silva (1908-1992), a Portuguese-born French painter. English: m/w, 9-11 & by apt. National Awards: t/th, 9-1 & by apt. © 2019 Anton L. Vander Zee. All Rights Reserved.